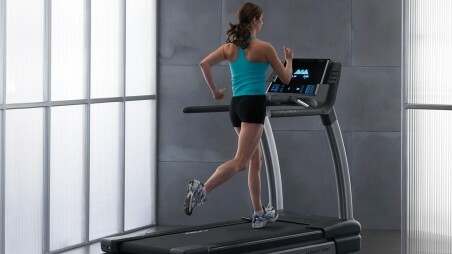 The Horizon Adventure 4 Plus treadmill offers 15 Multi-Level programs plus Advanced GoalCenter, incl. 3 Targets (Time, Distance, Calories), 5 Basic (Manual, Intervals, Hills, Weight Loss, HRC), and 1-30 Day Goal Tracking. It boasts 2 orange LED windows with 1 dot matrix profile display, with 1 Alphanumeric Workout Profile, Time, Distance, Calories, Speed, Incline and Heart Rate.